Investigate the reasons for public speaking fear and learn to conquer your own with the effective Just Say It! DVD program. It is a fact that the majority of people have at least some degree of anxiety when it comes to speaking in front of an audience. This DVD does an excellent job at discerning why the fear of public speaking exists and explores ways to conquer it. 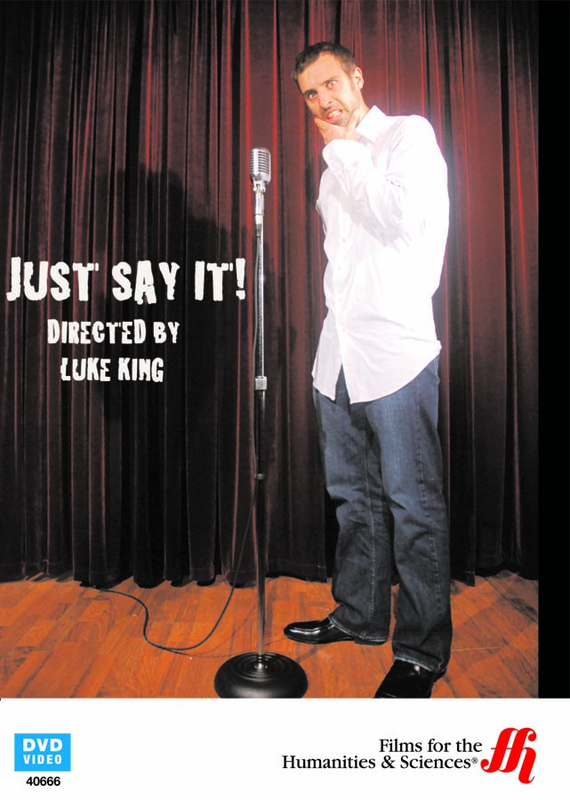 This effective program focuses on filmmaker Luke King and his journey in finding solutions to help people get up on the stage and speak without fear. Confronting the issue of public speaking head-on, King goes face-to-face with experts who have mastered their public speaking phobia, assimilating how they overcame their fear. He gets to meet and get valuable tips and answers from young participants at an important speech competition. The contestants divulge secrets on how they prepare for their speeches, how they deal with their emotions, and how they get ready academically and physically before hitting the stage. As part of the program, King also interviews a variety of motivational speaking experts, political professionals and performing artists. These interviews also give insight into different aspects of public speaking including historical facts, linguistic insights and media relations. The DVD runs for 73 minutes.